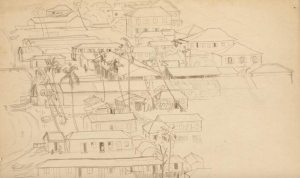 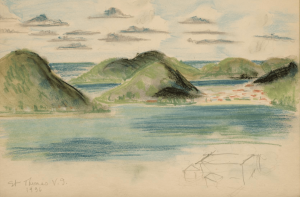 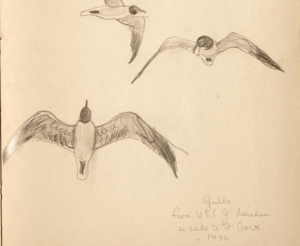 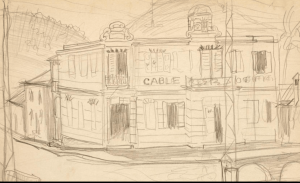 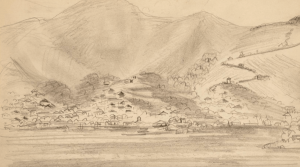 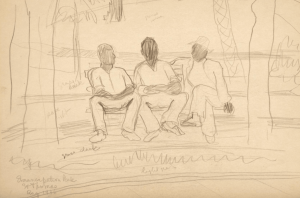 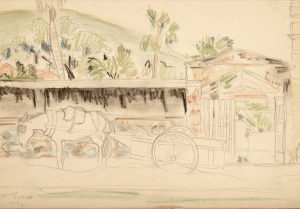 Discovered in a faded black notebook at the Archives of American Art in Washington DC are a handful of unfinished sketches and watercolors, never before seen of the US Virgin Islands. 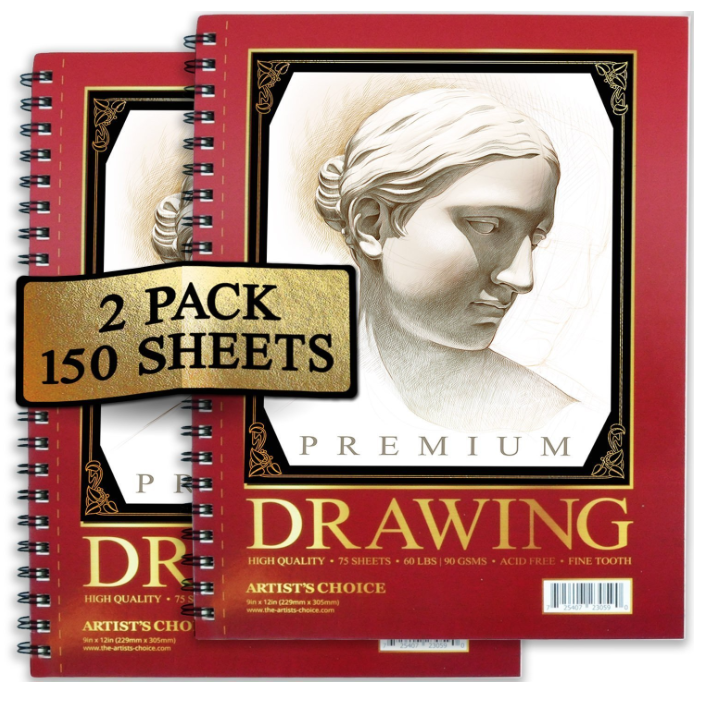 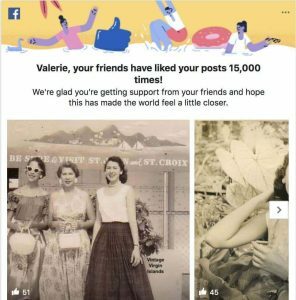 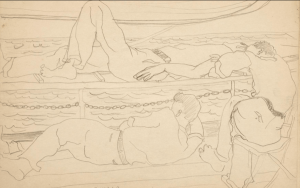 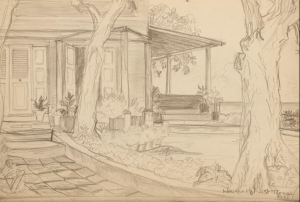 They were sketched by an American artist, Margaret Casey Gates. 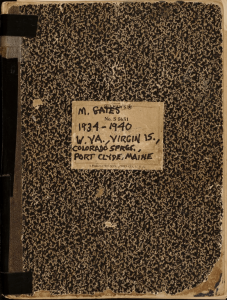 Mrs. Gates was a painter and art teacher originally from Washington, DC. 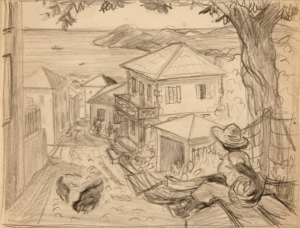 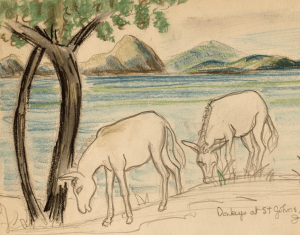 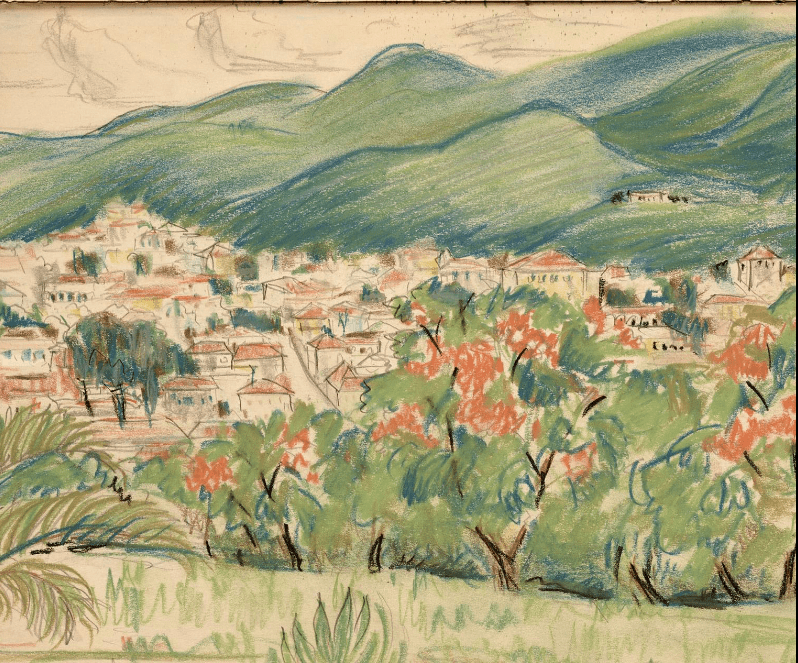 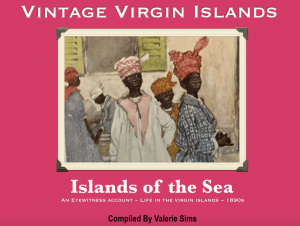 Between 1934 and 1941, a group of artists, including Mrs. Gates, and her husband, Robert F. Gates, began a series of trips to capture various scenic images of the beauty of the islands. 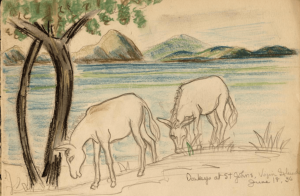 They were part of the Treasury Departments’ Painting and Sculpture Department. 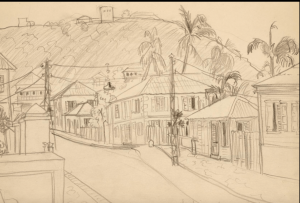 In 1936, Mrs. Gates produced a collection of vivid watercolors including the painting, The White Gate, which featured the decorative patterns of wrought iron gates found in St. Thomas. 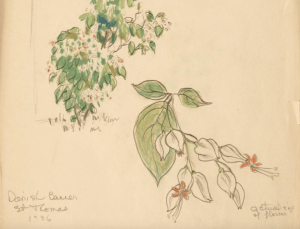 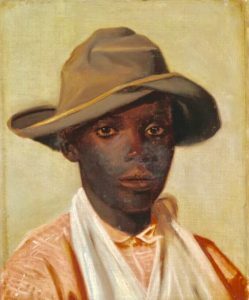 With works exhibited throughout the United States, Mrs. Gates’ talent was widely recognized. 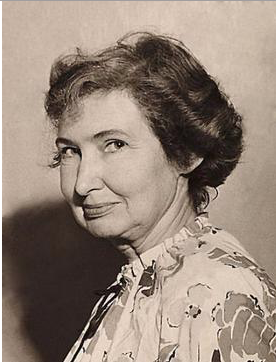 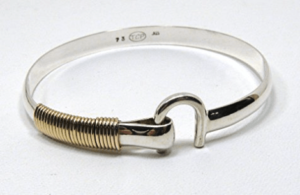 In 1945, she won a coveted prize from the Washington Painters and Sculptor’s Association. 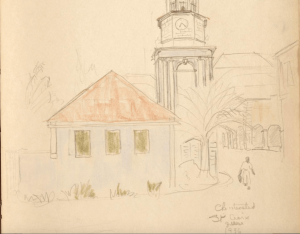 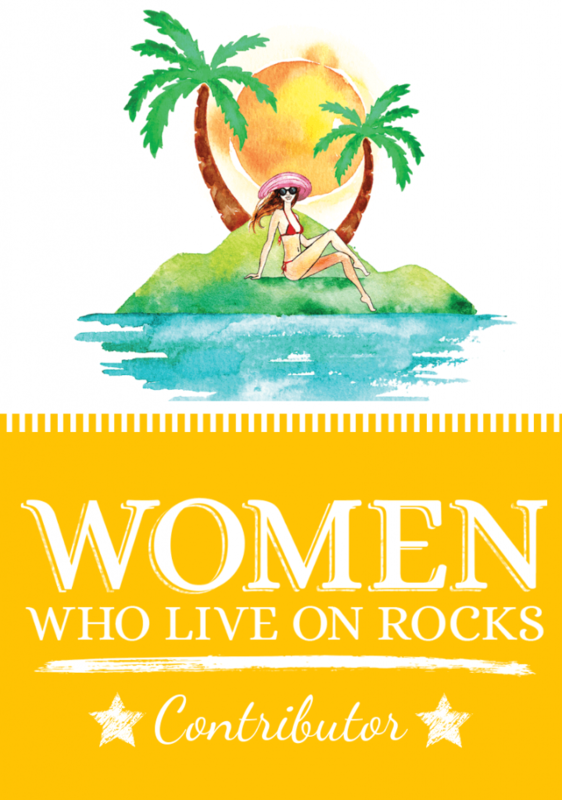 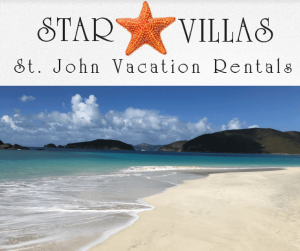 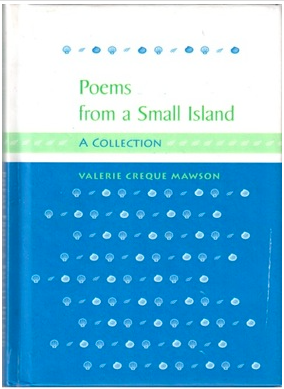 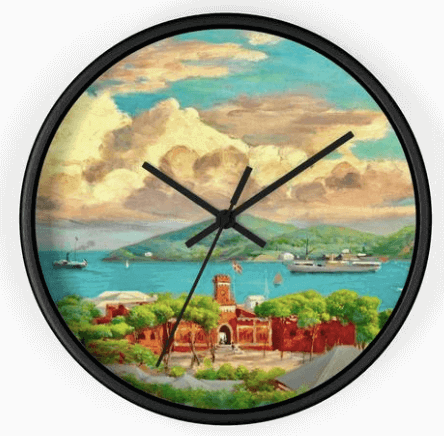 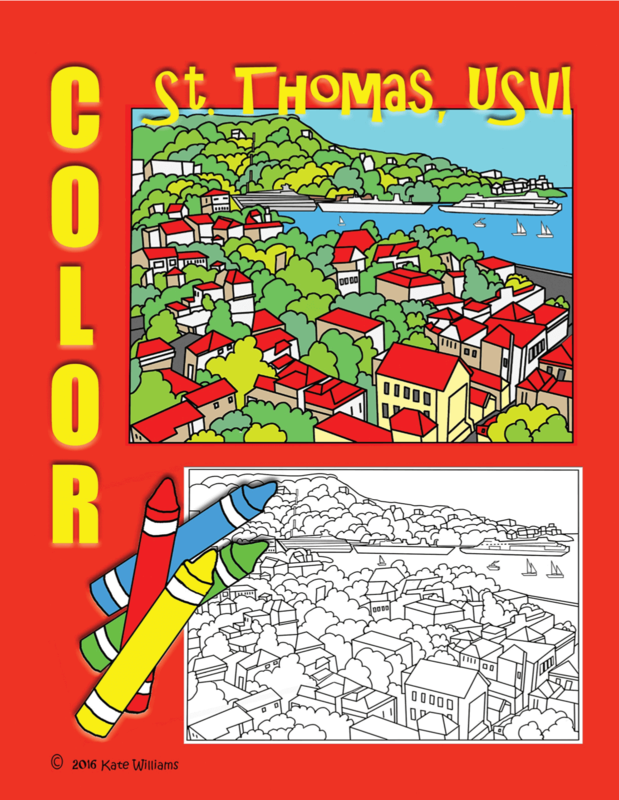 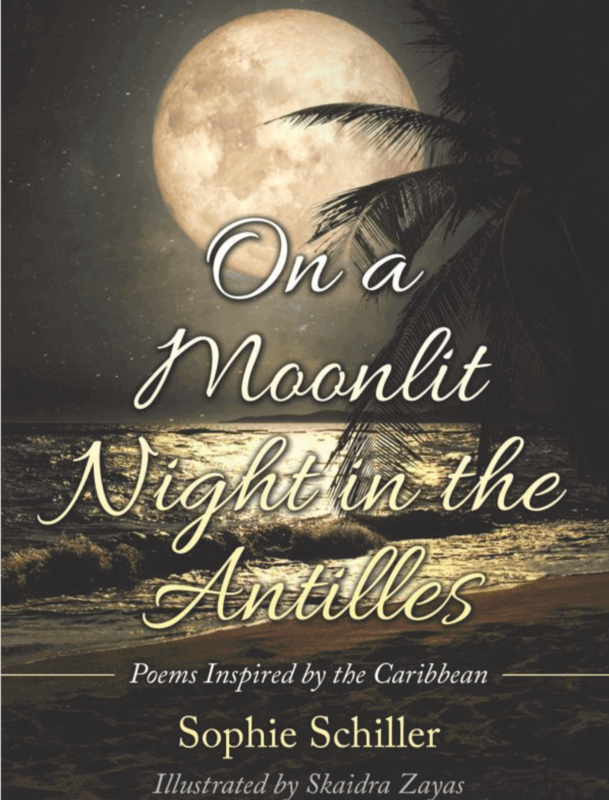 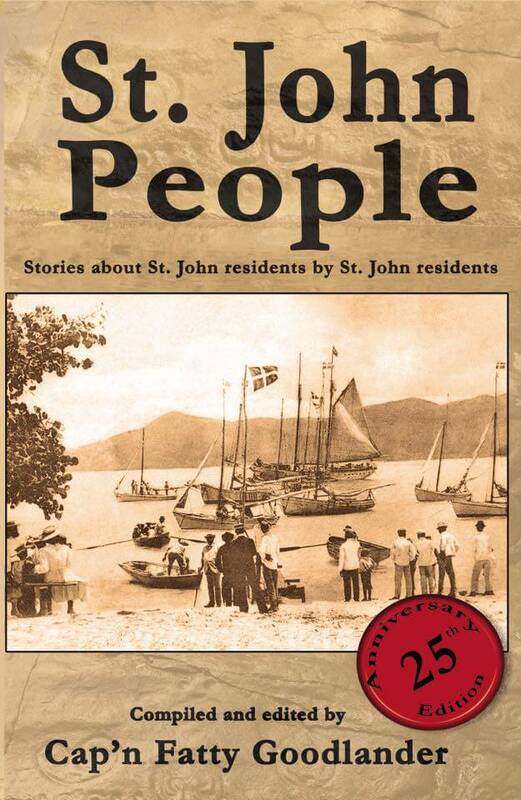 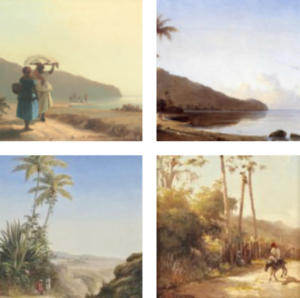 Some of her unfinished sketches and watercolor paintings of St. John, St. Thomas and St. Croix are below. 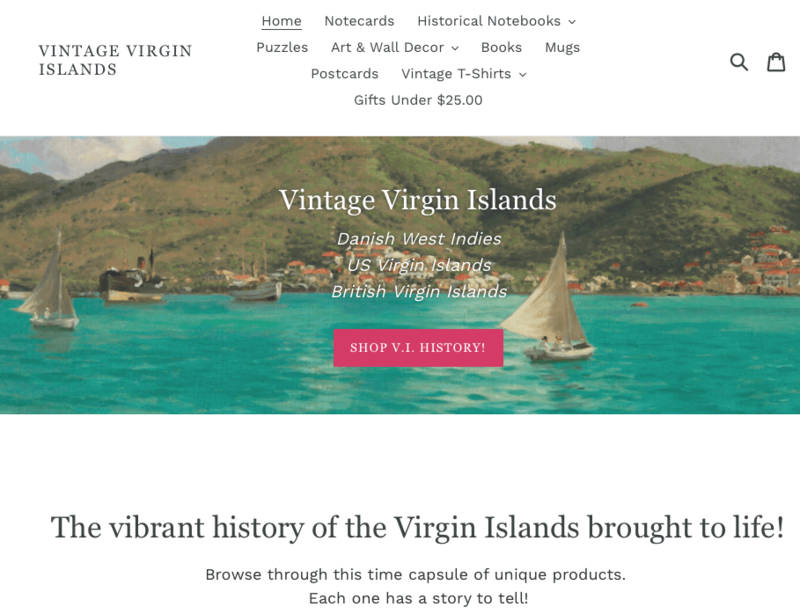 Shop VI prints and more!